Ice cream is great any time of year but Summer is by far the best! 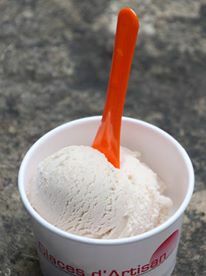 A walk in the sunshine and you soon want a thirst-quenching, cream icy cream treat especially if you are visiting one of the many tourist attractions that are open this time of year. In fact many tourist attractions sell their own ice cream either from their own ice cream parlor, from a little cute kiosk or even from an ice cream truck that parks up nearby. All kinds of places do this, from medieval castles to animal and theme parks. 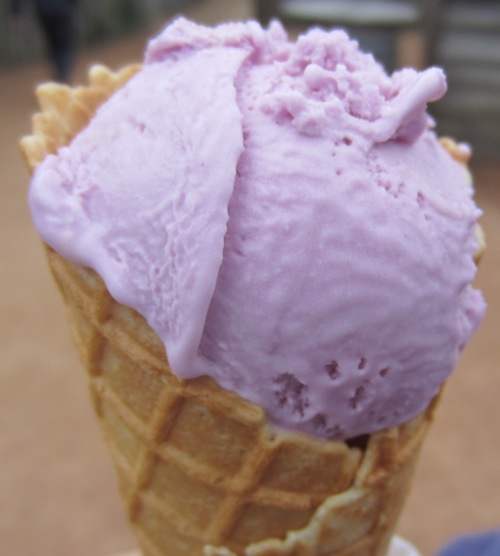 This gorgeous looking purple ice cream was a cone treat I bought whilst visiting a brilliant outdoor spectacle in France. Stuntmen and actors dressed up as medieval knights fought each other whilst a medieval story played out behind them. Amazing! The place? Puy du Fou (pron pwee dew foo) in France. Another historic site I once visited in summer was Rocamadour where, halfway up the steep and ancient hill climb of hundreds of steps, I found an ice cream parlor! 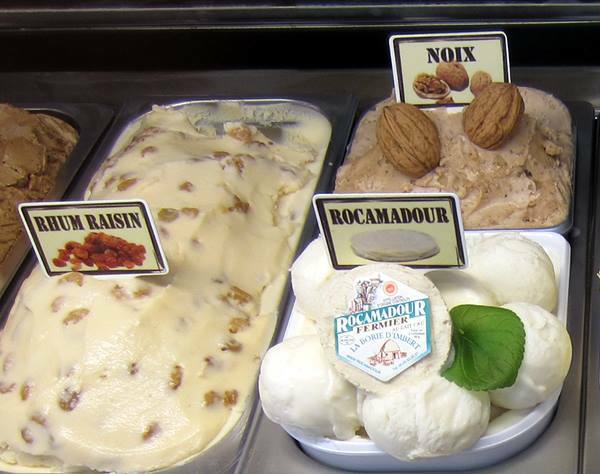 I couldn't believe the amazing ice cream they sold there - prune gin, goats cheese, saffron and walnut were 4 that I particurlaly remember. All the ice cream was locally made too and the lady at the ice cream counter was only too happy to let me sample as many as I wanted. Such was her pride and delight in sharing her passion for great ice cream. Ice Cream Parlors - Creme De La Creme! Ice Cream Freezers - Size Matters!